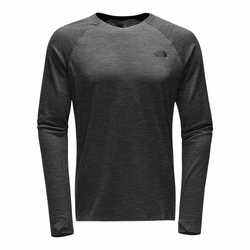 The North Face Wool Baselayer L/S Crew Neck HGR. Your first line of defense against the elements, this lightweight, long-sleeve baselayer top is crafted of naturally breathable and warm merino wool that offers superior stretch (without elastic fibers). Seamless sides and underarms minimize friction against skin.